Store your important data on GeekTek cloud servers, and your development team will enjoy instant access from the office, their home or anywhere else they happen to be. GeekTek Managed Cloud computing in Los Angeles provides authorized access via desktop and laptop computers, smart phones and internet-enabled tablet devices. Authorized team members can work where and when it’s most convenient for them. Cloud computing enables home workers to keep up with and maintain communication with your development project team at all times. GeekTek cloud services teams are on the job 24/7 to ensure that your crucial data is safe, protected and available on-demand at all times. If there are any bugs in the system, we’ll suss them out and repair them without delay. Free up your in-house IT team to focus on customer-oriented business, instead of spending time and money tracking down, discerning and fixing storage glitches. When your data is stored on GeekTek managed cloud servers, your development team can collaborate at any time from virtually any location in the world. When your development team works together, productivity increases exponentially. Authorized team members can log into the GeekTek cloud server any time, from any place that works for them, instead of having to coordinate team meetings at a physical brick-and-mortar office location. If inspiration hits at 3 o’clock in the morning, a team member can log into the GeekTek cloud and work on the project. Cloud computing in Los Angeles can accelerate the development of prototypes and projects, because team members can log in and work any time they have a new idea. GeekTek cloud storage specialists will help you choose the right solution for your business storage requirements. We manage the technical aspects of the cloud while allowing you, the business owner or team leader, to handle permissions and settings from an intuitive, user-friendly administrator control panel. What would you do, if your company’s most crucial data was compromised or even destroyed? It’s an awful thought to ponder. When you store your valuable data on the GeekTek cloud, we protect it all times with redundancy. Cloud computing in Los Angeles makes cybertheft and employee error problems of the past. Only authorized team members can access the GeekTek network cloud. With your administrative control panel, you say who can and cannot log into your data center. When you restrict access to none but your most trusted employees and team members, network security is vastly improved. 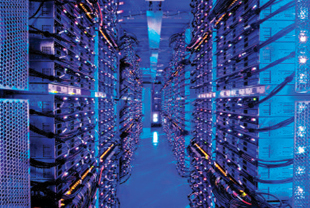 Off-site data storage keeps your data safe at all times. When you hire GeekTek cloud computing service, you pay for only the amount of storage you actually use. The GeekTek cloud is infinitely scalable and always provides the exact amount of reliable off-site data storage you need. Upgrading your in-house IT system can cost a bundle. When you store your project information and company data on the GeekTek cloud, we provide state-of-the-art technology at no additional cost. Free up your IT staff to work on important projects instead of scrambling to keep up with the latest storage and server trends. GeekTek managed cloud computing keeps your company data storage at the forefront of technological advancements. Reduce or eliminate software maintenance costs, IT costs and quality control costs when you choose GeekTek cloud storage options in Los Angeles. 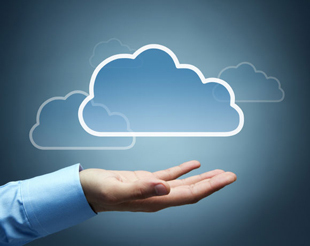 Is cloud computing right for your business? Contact Us without delay, and we’ll let you know. Our knowledgable cloud computing specialists can perform a services audit of your business and explain the ways that GeekTek cloud computing services may be of benefit to your enterprise.